Greater Fort Lauderdale ups the ante on its tourism offerings with new renovated hotels, and compelling brand initiatives. 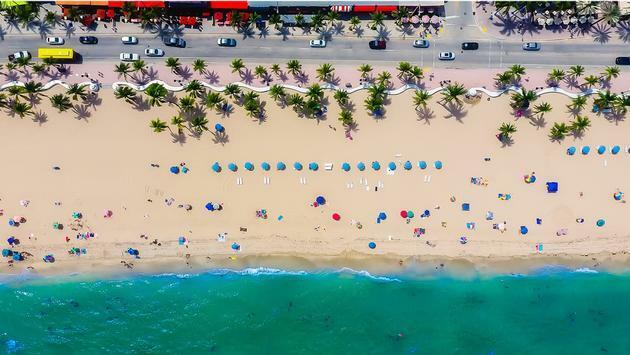 Greater Fort Lauderdale continues to raise the bar on its tourism offerings with new and refreshed hotels, increased air service and a diverse collection of marketing initiatives designed to broaden the destination’s appeal. “With new hotels, air service and marketing initiatives coming online, we’re looking forward to an exciting transformation of the destination,” said Stacy Ritter, president and CEO of the Greater Fort Lauderdale Convention & Visitors Bureau (GFLCVB). Later this year, a Four Seasons hotel with 150 guestrooms and 95 residences is scheduled to make its debut. The 23-story property will feature two restaurants, a spa, fitness center, children’s recreation room, beach butlers, and ballroom and meeting facilities. A dual-branded, 23-story Starwood hotel—the 209-room Dalmar (from the Starwood Tribute Portfolio) and the 114-room Element by Westin—are scheduled to debut in downtown Fort Lauderdale in the spring. It will be equipped with a sky lobby, lobby bar, pool deck, and fitness room, 12,000 square feet of meeting and ballroom space, a ground-floor coffee shop and a high-rise rooftop bar. Conrad Fort Lauderdale Beach, which debuted late last year, features 290 all-suite accommodations, indoor and outdoor dining venues, a 4,000-square-foot oceanview spa and fitness center, an elevated oceanfacing Sky Deck with heated pool and cabanas, and 10,000 square feet of flexible meeting and event space. The 157-room Plunge Beach Hotel, which offers direct beach access to Lauderdale-by-the-Sea, opened its doors in early 2017. W Fort Lauderdale was the recipient of a $555 million facelift, which included the addition of a sushi restaurant and renovations to the property’s 517 guestrooms and suites and to the Living Room and WET Decks. B Ocean Resort unveiled the results of a multimillion-dollar renovation to its 484 guestrooms and public areas, and the Westin Fort Lauderdale Beach Resort completed a $5.5 million renovation in January 2017, which included a new oceanfront restaurant, Siren’s Table. The Bahia Mar Fort Lauderdale Beach Resort is putting the finishing touches on a $7 million transformation with a nautical theme, paying homage to area beaches and marinas. Hollywood’s 500-room Seminole Hard Rock Hotel & Casino is constructing a $1.8 billion guitar-shaped tower with 800 guestrooms and a number of dining and entertainment venues. Work is expected to be completed by late 2019. In 2017, Southwest inaugurated service from Newark, and Allegiant from Cleveland. In 2016, Allegiant launched service from Niagara Falls and Ogdensburg, N.Y. JetBlue introduced service from New Orleans; Frontier from Cincinnati; Spirit from Newark and Akron-Canton, Ohio; and United from Washington-Dulles. International airlines have also added service to Fort Lauderdale, most notably with British Airways inaugurating service from London-Gatwick last year, and Emirates from Dubai in December 2016. Greater Fort Lauderdale unveiled a new brand initiative #GreaterTogether, which promotes the destination’s diversity with a digital marketing strategy and a brand video. “The video will be featured on the CVB’s website, www.sunny.org/greatertogether,and will include the stories of diverse residents and visitors describing why they enjoy living in Greater Fort Lauderdale and how they welcome visitors to the community,” Ritter said. An integrated public relations and social media program is also debuting this year, under the campaign banner #rediscover954. 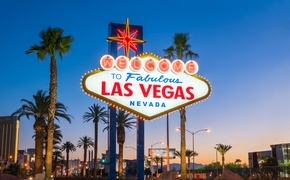 “That’s our area code and it signifies a marketing direction to show the travel community and consumers that the destination is edgier and cooler with new hotels, neighborhoods, dining and attractions,” Ritter said. In addition to Hollywood, trendy, hip neighborhoods include FAT Village, with its hip arts culture, and Wilton Manors, home to Broward County’s largest LGBTQ community. Greater Fort Lauderdale offers travel advisors a Travel Agent Academy Specialist Program course to help them become experts on the destination along with how to market and sell it. Ritter added that agents looking to increase their Great Fort Lauderdale sales should be vigilant about continually updating themselves on what’s new and noteworthy at the destination. A version of this article appears in print in the February 2018 issue of Agent@Home Magazine.